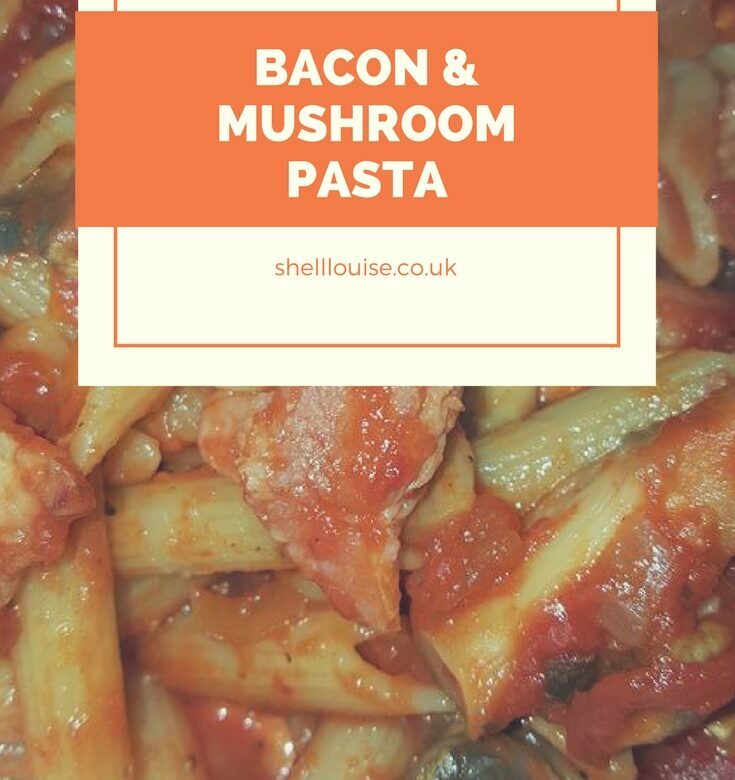 This bacon mushroom pasta is basically the same sauce I make for spaghetti bolognese. I just use bacon instead of minced beef. In fact, any meat will work in this recipe. It’s great for using up leftover gammon, pork or beef from your Sunday roast. I always use smoked bacon because I prefer the flavour but you don’t have to. You can use any pasta you like with this recipe. Before I started cooking from scratch, I used to buy a packet mix for bacon and mushroom tagliatelle. It was lovely but I always had spaghetti instead of tagliatelle. Now we prefer to mix penne in with the sauce rather than serving the sauce on top of the pasta. It’s syn free on Slimming World. There is a teaspoon of sugar in it but it makes 4 generous portions so you don’t need to split 1 syn between 4! Add the tinned tomatoes, tomato puree, Worcestershire Sauce and teaspoon of sugar and stir well. Bring to the boil then reduce heat and simmer for 20-30 minutes.